In order to get to Antarctica, you must first navigate the infamous Drake Passage. With waves that can easily reach heights of 30 feet, the question was not whether our boat could survive the journey, but whether anyone on it would escape seasickness. Luckily the weather conditions were in our favor on the way to Antarctica, but coming back was a different story. The Polar Pioneer broke through rampant waves for days on the return to Argentina. Even walking through corridors was a dangerous activity: You had to time the wave perfectly to avoid being thrown down the stairs. To escape the dangers of the staircases (and settle my wavering stomach), I admit to curling up in my cabin for several hours each day. However, the round trip to this magnificent continent and all it had to offer was well worth the risks. Our first sight of land after leaving Argentina was the South Shetland Islands. 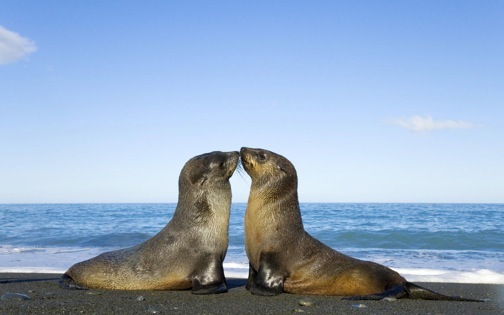 Located north of Antarctica, these islands stand as a gateway to the continent and are a frequent stop for tourists. One can hike for hours there, not only because of the knee-deep snow slowing your steps, but also because of the amazing panoramic views. But watch your step! 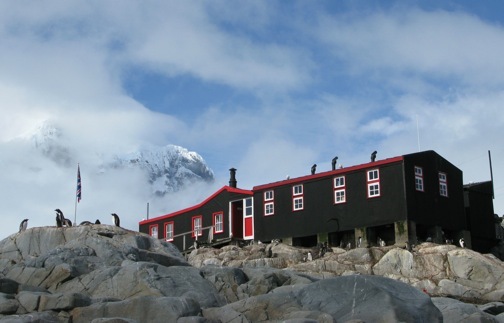 Gentoo penguins will wobble nearby, seals will bask in the sun, and various seabirds will circle overhead. In addition to the wildlife, artifacts from past decades of human activity can be found all around. Deception Bay, which was created by a volcano, still houses the rusting whale oil tanks left by the once active whaling industry. 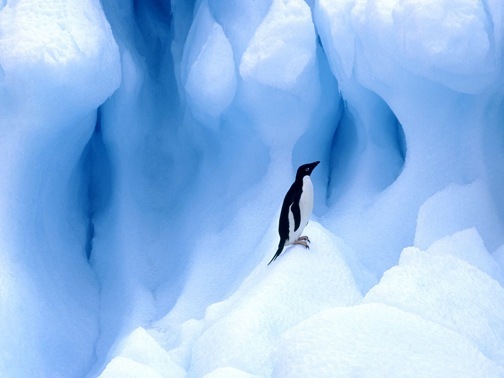 These islands are a must-visit part of any journey to the awe-inspiring continent of Antarctica. 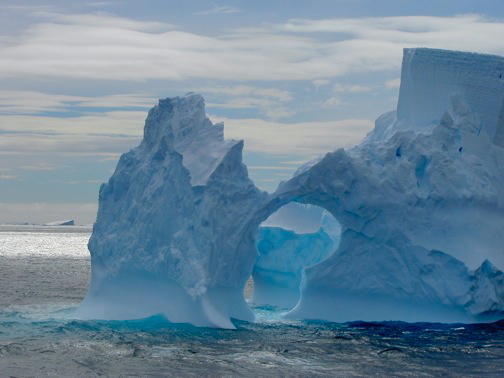 This is one of the first channels you’ll pass through once you reach the Antarctic Peninsula. One of my best memories of Antarctica’s landscape is from this fjord-like channel, where the cliffs jut straight out of the water. This “mountain range” dwarfs each side of this narrow channel for miles ahead. The perfect reflection on the smooth water seems to bring the mountains even closer. As your boat navigates this tricky channel, you won’t be able to take you eyes off the seemingly untouched landscape. 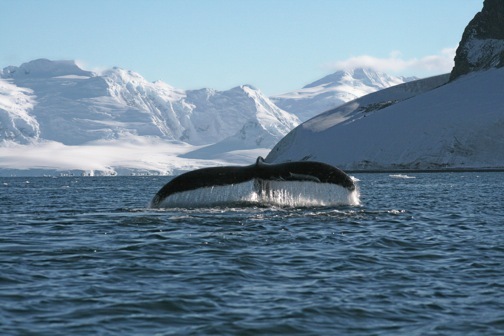 With humpback whales often escorting boats through the channel, the trip will leave you in awe of nature’s beauty. In Antarctica, exploring the outdoors is everything. Those who like to kayak can explore the icebergs and shoreline up close and, if they’re lucky, hear the rumbles of calving as water constantly reshapes the ice into sheer and jagged shapes. While paddling, there are sure to be encounters with dangerous leopard seals and adorable fur seals sunbathing on icebergs. One afternoon, we ferociously paddled beside a humpback whale just in time for its tailfin to rise in the air thirty feet away from us, a marvelous sight from a sea kayaker’s view! Our adventure of unusual experiences continued with a Christmas Eve campout in the open air– a must-do activity if you don’t mind digging out a sleeping area, shielding yourself from wind and snow with your feet, and then carefully placing a thin sleeping pad and mummy sleeping bag on top. Even though the night consisted of periods of sleet, roars of seals, and a sun that never sleeps, the camping experience was one that I will never forget.